Tempted To Wait To See a Dentist in Roselle Park? Here’s Why You Shouldn’t! Many people would say that visiting the dentist isn’t their favorite thing to do. But waiting to get dental care can actually make things more unpleasant in the long run! Not to mention that modern dentists make your comfort a top priority by providing friendly, compassionate care and giving you anesthesia and sedation when needed. 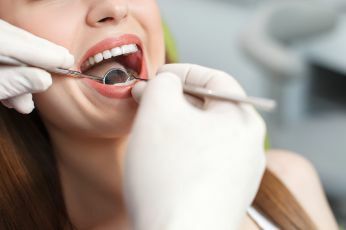 Seeing a dentist in Roselle Park is a lot easier than you may think and also helps you avoid major problems down the road. Keep reading to learn more about the dangers of waiting to get dental care and how important it is to save or restore your teeth whenever possible! Comments Off on Tempted To Wait To See a Dentist in Roselle Park? Here’s Why You Shouldn’t! Searching For a New Dentist In Roselle Park? Here’s What To Look For! Trusting your smile to a new dentist isn’t a decision you make lightly – and understandably so! But when you’re looking for a dental office that you can call home, it can be difficult to know where to start. And since you’ll be seeing a dentist in Roselle Park at least twice a year for checkups, it’s worth it to spend a little time on the front end making sure you’ll be getting quality care. The first recommendation is to look at a dentist’s website. From there, you can call or email with any questions you may have before scheduling your first visit. Keep reading below to find out what you should look for during your search! 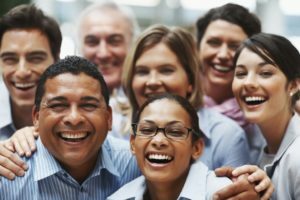 Comments Off on Searching For a New Dentist In Roselle Park? Here’s What To Look For! In addition to being an excellent dentist and an expert in the field of implant dentistry, Dr. Oshidar has a huge heart. When you mention kids to him – especially his own – he just melts. For the past few years, he has donated to St. Jude Children’s Research Hospital: an organization that helps sick children and supports their families during their illness. 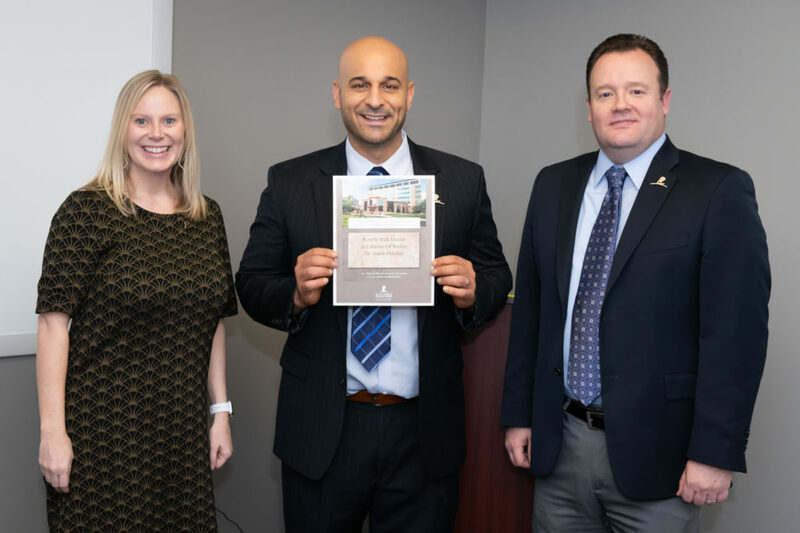 So for his holiday gift this year, the Roselle Park Dental & Implants staff collectively purchased Dr. Oshidar a dedication brick from St. Jude Children’s Research Hospital. The brick was engraved, and will be placed on the hospital’s “Pathway of Hope” in Tennessee. St. Jude is leading the way the world understands, treats and defeats childhood cancer and other life-threatening diseases. Treatments invented at St. Jude have helped push the overall childhood cancer survival rate from 20% to more than 80%. Families never receive a bill from St. Jude for treatment, travel, housing or food — because they believe all a family should worry about is helping their child live. To learn more about St. Jude Children’s Research Hospital, visit: www.stjude.org. If you skipped getting a dental checkup last year, you’re not alone. Many people find it all too easy to find reasons not to go to the dentist! Unfortunately, however, this can wind up costing you more money and time in the dental chair later on, so it’s well worth it to schedule these visits twice a year. And since a new year just began, it’s the perfect time to make a fresh start and schedule an appointment with a dentist in Roselle Park. Learn more below about the many ways that checkups benefit you and how these visits will improve and maintain your oral health in 2019! 2019 New Year’s Resolution: Healthy Smile! The start of a New Year is the perfect time to transform our habits and behaviors, since it affords us a clean slate. As we reflect on what we want to improve about our lives, we often focus on our health: eat better, exercise more, get enough sleep, etc. This year, why not mix it up a little? 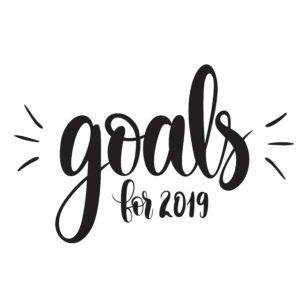 Make 2019 the year you resolve to get the healthy and beautiful smile you deserve! Did you know that your oral health has a direct impact on your overall health? According to the Mayo Clinic, studies suggest that oral bacteria and the inflammation associated with periodontitis — a severe form of gum disease — might play a role in some diseases. 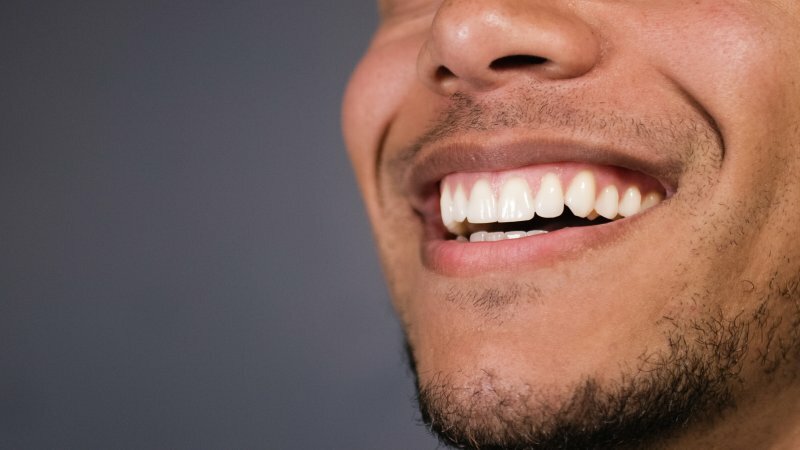 In addition, certain diseases, such as diabetes and HIV/AIDS, can lower the body’s resistance to infection, making oral health problems more severe. So, how can you improve your oral health? While most people are motivated to brush their teeth every day, according to a Delta Dental survey, only four of 10 Americans floss at least once a day, and 20 percent never floss! If you already have a habit of brushing your teeth before bed each night, try adding flossing to the routine – tell yourself you can’t brush your teeth until you have flossed them. This is important for two reasons. First of all, we miss you if we don’t see you twice a year! And secondly, having any plaque build up removed professionally by your hygienist prevents tartar from forming which can lead to cavities and gum disease. Additionally, seeing the dentist frequently allows him or her to look for any signs of decay or changes since your last visit. If small problems are caught early they can often be corrected before they become larger and worse issues. Many people do not realize that dental reconstruction should be a primary health concern. Living with one or multiple missing teeth can have a devastating impact on your quality of life. Over time, it can negatively affect not just your psychological well-being and confidence, but also your overall health. In the absence of tooth roots, a person’s facial features can shift out of proper alignment, resulting in sagging or misshaped facial features. We would love to help you achieve your healthiest most beautiful smile in 2019! 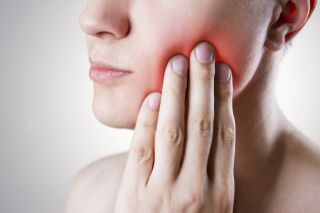 Visit us at www.roselleparkdental.com or call us today to schedule your next appointment: 908-998-4698. Comments Off on 2019 New Year’s Resolution: Healthy Smile! One of my patients is in charge of this fundraiser for injured veterans: the Fallen War Heroes Memorial 5k. As most of my patients know, this a cause that is very near and dear to my heart because of my time in the United States Air Force (USAF). 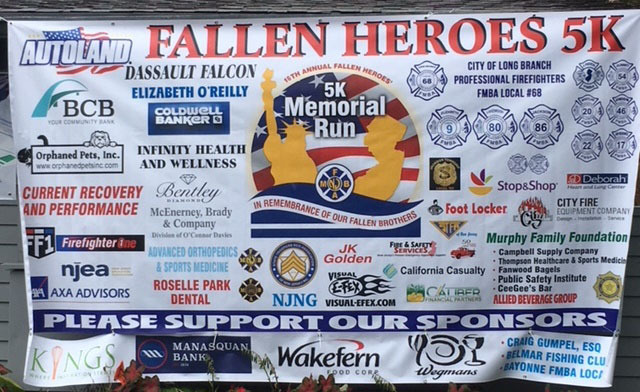 The event was held in Lake Como, NJ and despite inclement weather, the memorial run had almost 900 runners and walkers. The rest of the money raised by the 5k was generously donated to Rebuilding Warriors, a non-profit organization that provides service dogs to veterans. In attendance were New Jersey Governor Phil Murphy and his wife Tammy. After the race, there was a barbecue and a memorial service celebrating all those who lost their lives on 9/11. If you would like to join me in sponsoring or donating to this amazing cause, please visit: www.rebuildingwarriors.com/index.html. Dentures are a great way to replace a whole row or part of your smile. If you’ve been missing multiple teeth and have dentures, you may experience slipping, sliding, and discomfort when you talk, laugh, or chew. While they do help to restore the look and function of your smile, they can often become unstable because dentures rest on top of your gums. Keep reading to discover how dental implants can provide maximum denture stabilization in Roselle Park. Anyone with missing teeth will tell you that they cause WAY more problems than just an unsightly gap in the smile. Food choices quickly become limited, people can develop an uncontrollable lisp or slur when they speak, and self-confidence…well, that just goes out the window! While traditional bridges and dentures can fix some of the issues brought on by missing teeth, only dental implants can solve absolutely all of them. 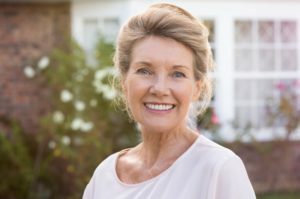 Whatever grief your incomplete smile might be causing you, dental implants in Roselle Park can provide the comprehensive solution you’ve been looking for. As a friendly reminder, if you have dental treatment you’ve put on hold, now may be a good time to schedule an appointment to maximize your insurance benefits. Even if you don’t need extensive treatment, you should schedule a regular check up and cleaning appointment to help prevent costly procedures in the future. 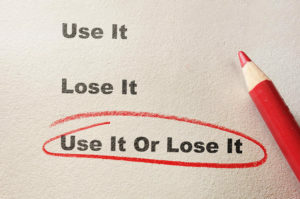 You’re probably paying a monthly premium to keep your insurance, so be sure to use it before the year end! It is also a great time to use any remaining flexible account dollars you may have saved up. Flexible accounts are created to set aside pre-tax dollars for medical and dental expenses, but if that money is not used before the end of the year, it is lost to you forever. Our holiday season does book up quickly, so call us today at (908) 998-4698 or visit roselleparkdental.com to schedule your appointment. If you have any questions about your insurance coverage or benefits, we would be happy to help you. We look forward to seeing you! Dental problems today? Teeth tomorrow! Learn how dental implants can be the solution to many dental issues. Don’t miss this opportunity to attend our upcoming Dental Implant Seminar with Dental Implant Expert, Dr. Oshidar. ✅How dental implants will positively affect your health, personal appearance, and overall well-being. Join us on October 25th at Boulevard Five72 in Kenilworth from 6:30-8:30 p.m. Complimentary food will be served. RSVP Today – Seating is LIMITED. Register now! Call 908-998-4696 or visit roselleparkdental.com. When: October 25th from 6:30-8:30 p.m.